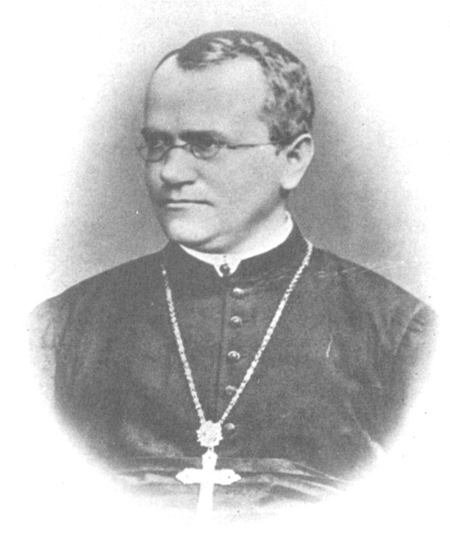 Importantly, Mendel did not stop his experimentation there. He allowed the F1 plants to self-fertilize and found that 705 plants in the F2 generation had violet flowers and 224 had white flowers. This was a ratio of 3.15 violet flowers to one white flower, or approximately 3:1. 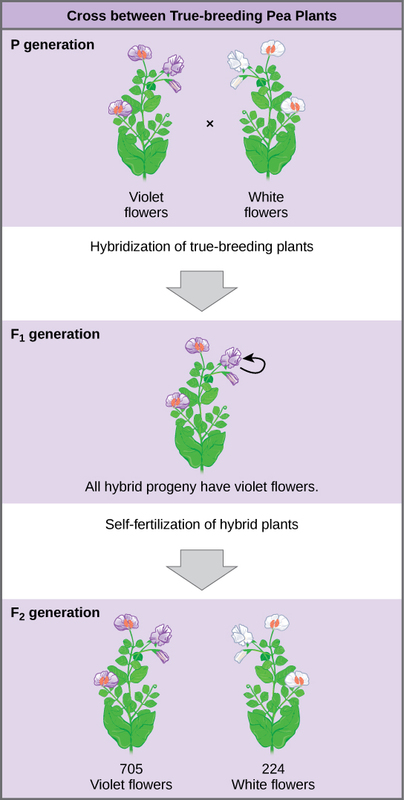 When Mendel transferred pollen from a plant with violet flowers to the stigma of a plant with white flowers and vice versa, he obtained approximately the same ratio irrespective of which parent—male or female—contributed which trait. This is called a reciprocal cross—a paired cross in which the respective traits of the male and female in one cross become the respective traits of the female and male in the other cross. 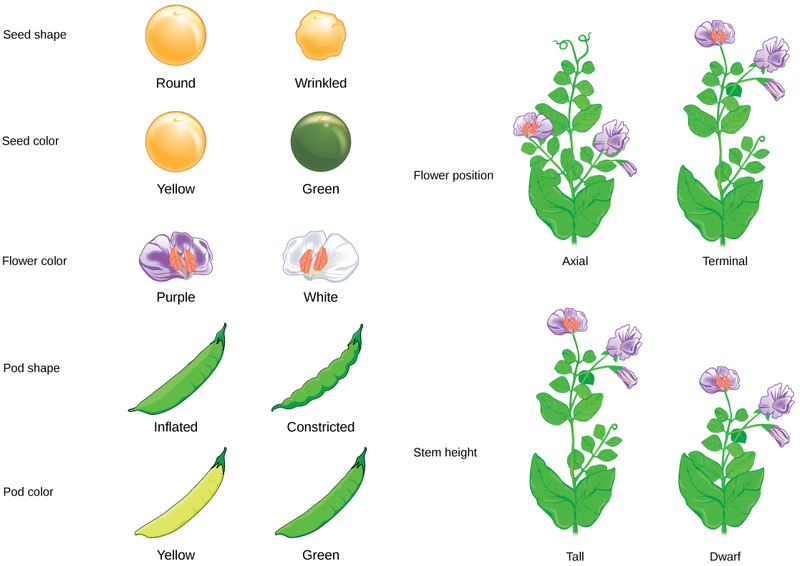 For the other six characteristics that Mendel examined, the F1 and F2 generations behaved in the same way that they behaved for flower color. One of the two traits would disappear completely from the F1 generation, only to reappear in the F2 generation at a ratio of roughly 3:1 (Figure 8.4). 8.1 Mendel’s Experiments Copyright © by laesoph. All Rights Reserved.